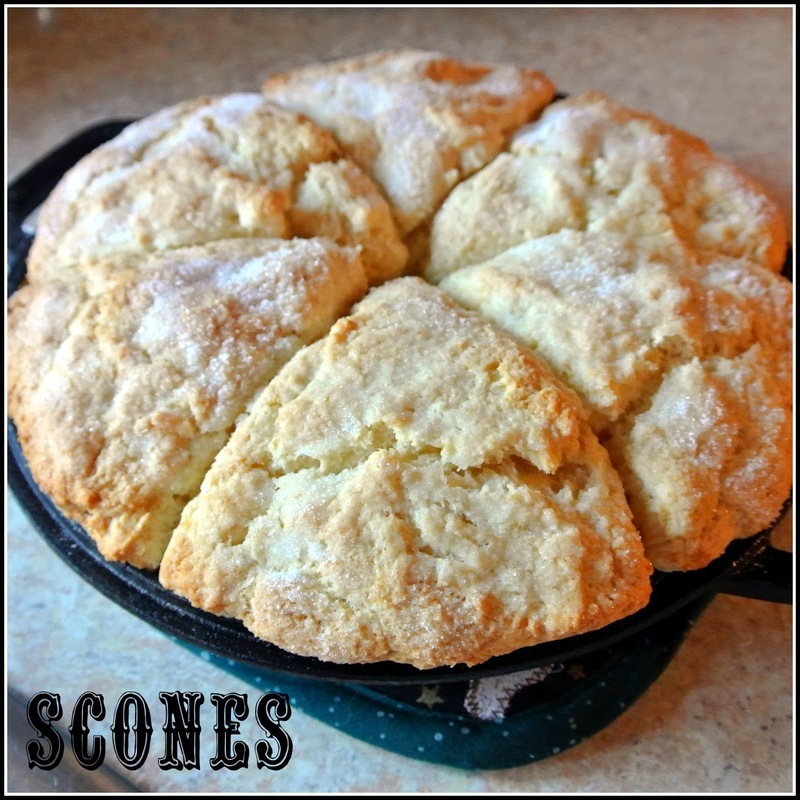 I have been in search of the perfect scone recipe. 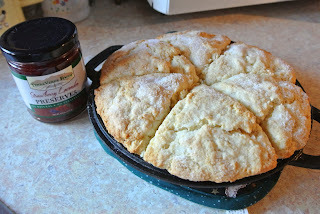 I just wanted a plain scone that I could dress with some lovely strawberry lavender preserves that I got from Terra Verde Farms booth at the local Farmer's Market. These scones go beautifully with the preserves. With the bright flavors of strawberries and the subtle hint of lavendar, the preserves are off the chart! These are now my favorite scone. Light and fluffy but with a crunchy outside layer. I challenge you to come up with a better recipe! Sugar for sprinkling on top. In a large mixing bowl, combine flour, baking powder, salt and sugar. Mix well. 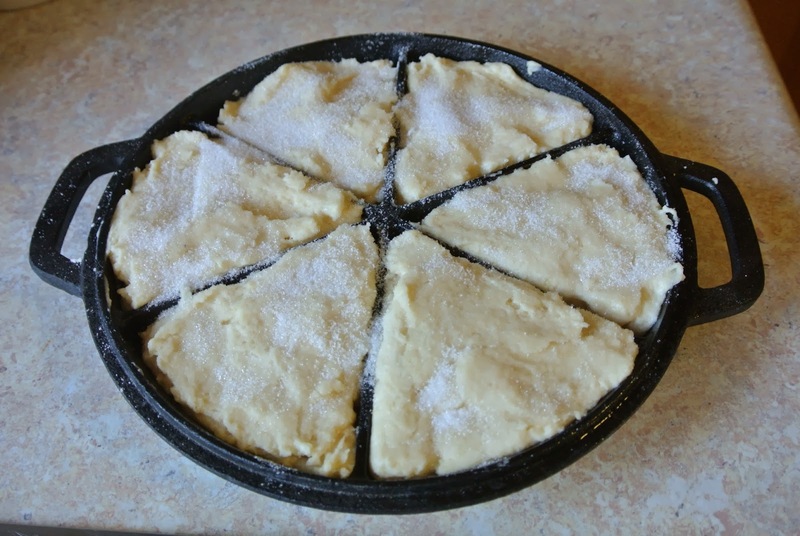 Cut in butter and shortening. In a separate bowl, combine cream with beaten egg then add to dry ingredients. Turn dough out onto a floured surface. If you have a cast iron skillet, I recommend using it. I was fortunate enough to have a cast iron scone pan. If you don't, you can roll dough out and cut into biscuit size rounds. Sprinkle with sugar and bake for 15 minutes or until brown.